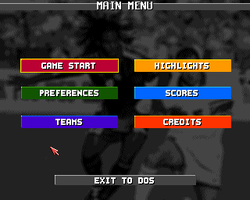 SWOS will always be remembered alongside the Amiga but there was another football game released late in the Amiga life called "Eat the Whistle" - Gaby Greko was the programming talent behind this game and has kindly agreed to answer some quesitons about the development of this game. Was the Amiga the first computer you programmed for? Well, it has been the first commercial game I wrote for the Amiga computers. I had previously wrote a few C64 never released games, a few public domain amiga games and I contributed to the development of many Simulmondo Amiga/PC titles (I worked mostly on their development tools but I wrote also some assembly code here and there). In my Amiga days I wrote also a shareware mud client (AmiMUD) and worked for a few years with Safe Hex International maintaining an antivirus software (Virus Scanner). 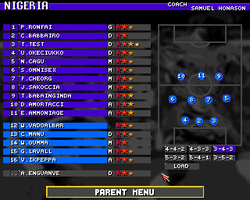 What was the hardest part to programme the ball physics or the computer team's A.I.or another feature of the game? I think the most difficult part has been to make a 100% os friendly game that worked on OCS, AGA, Picasso96 and CybergraphX, both windowed and fullscreen, and with a good framerate also on a basic unexpanded A1200 (25 fps in 320x256 fullscreen). 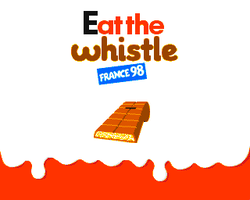 Was Eat the Whistle the only Amiga game you programmed? The only commercial one, as said. In more recent times I wrote the Mac/Linux ports of Robin Hood, Ankh, Ankh II, Jack Keane. 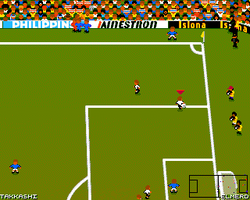 SWOS and Kick Off are perhaps the best remembered football games from the Amiga's early life and EA's Fifa games on the megadrive / snes - were you inspired by these games or were you trying to create something unique? The initial Eat The Whistle concept was brought to me by Daniele Caramaschi, he came to me with a few hundreds of frames of players and a lot of ideas, he had great abilities as graphics artist but wasn't able to code. When Daniele proposed me to work with him in Eat The Whistle the graphic look was almost done but the game design was still to be thought, we defined it through hundreds of hour of brainstorming and we tried to refine it in the beta stage. Eat the Whistle contains loads of options - did all the planned features make it into the game or were any left out? Yes, we planned a career mode and a "manager" mode but we didn't had the time to put them in. Also we could refine a few more things before launch, but we "missed" the launch milestone of June 98 (for France98) and we wanted to put the game out. Which option are you most proud of ? think "arcade mode" is really funny. I'm also proud of the fact that ETW has been the first Amiga Commercial game with a PowerPC version. Was the game always going to be called "Eat the Whistle" or were there other titles considered? That was the name from the beginning, at least from the moment Daniele involved me in the project! Which programming tools did you use to create the game? I used CygnusED 4.x and SaS C 6.x as compiler. The game was wrote in 100% C. Daniele used Cloanto Personal Paint for graphics and a few tools I wrote to build/test animations. How long did it take to make the game for the Amiga? We started working on it in september 2007 and the game was released in november 2008. Eat the Whistle was originally developed as a commercial product with Hurricane Studios - was the project always going to be focussed on the Amiga or were other computers considered for the game as well? Not at that time. So the game was stricly tied to AmigaOS APIs. Crossplatform support has been an idea I had in 2001 when our exclusive contract with Epic was expired and it was clear that ETW target could be only the opensource world. 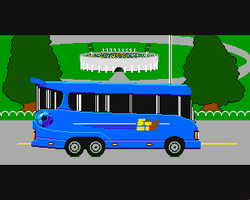 Screenshots of Eat the Whistle Taken from Lemon Amiga website. The game can be downloaded either from Gabriele Greco's website or the Aminet website. There seem to lots of versions of Eat the Whistle - how did the game evolve from version 2.0 to 3.2? Which is the lastest available version? Essentially 2.0 moves the game from native amiga API calls (intuition, audio.device...) to SDL (www.libsdl.org), to be crossplatform. 2.0 also boosts the game logic from 50 to 100fps to be able to take advantages of the higher framerate of more powerful hardware. 3.0 joins the two game binaries ("menu" and "game") in a single binary and it's released under GPL (v2), there has been a lot of fix and a partial translation of the comments in the source from italian to english. Eat the Whistle CD version was published by Epic Marketing - how did this come about? Initially the game was planned on 4 disks, we was ready for a release in that format, there was no menu music and spoken comment, at one point in the summer Epic told us that to limit illegal downloads they preferred a CD only release so we started working hard on the spoken comment and to add some music for the menus, the spoken comment translation in german and english by Epic took some time and we missed the September release we hoped to reach (to be able to sell the game at Pianeta Amiga 2008). There are apprently a lot of cheat modes included in Eat the Whistle - which are your favourite? 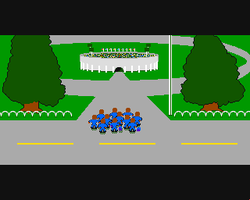 The game was fully adaptive for hardware, also in his initial incarnation. Faster processor / memory allowed to cache audio samples (instead of load them from disk), use higher resolutions and have higher fps. Was the game created solely by yourself or did you work in part of a team or receive help at different time from freelancers? It has been made by Daniele Caramaschi and me. Daniele took care of the graphics, I wrote the code, we worked together on gameplay and features. Audio samples have been cut from real football games and/or internet freely available loops. We had not enough income at the time to had a person working on them as we originally planned. Andrea Carolfi was our main beta tester and took care of the website and other organization issues. Were there any amusing stories you can remember during creating the game? Is Eat the Whistle for the Amiga now freeware / shareware or still commercial? In the past years I've done also versions for MorphOS and AROS. Obviously I think you can still find the CD version somewhere on the net. The only thing the GPL version doesn't have is the spoken comment since it was not our right to share it without permission. Eat The Whistle 3.6 has been released for Windows, Mac and Linux - is this the last version of Eat the Whistle or are further updates planned? Are there any current computer game projects you are working on which you can tell us about? 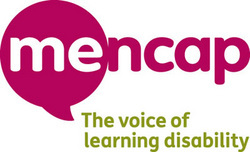 AmigaPd would like to thank Gabriele Greco for taking the time to answer the questions.